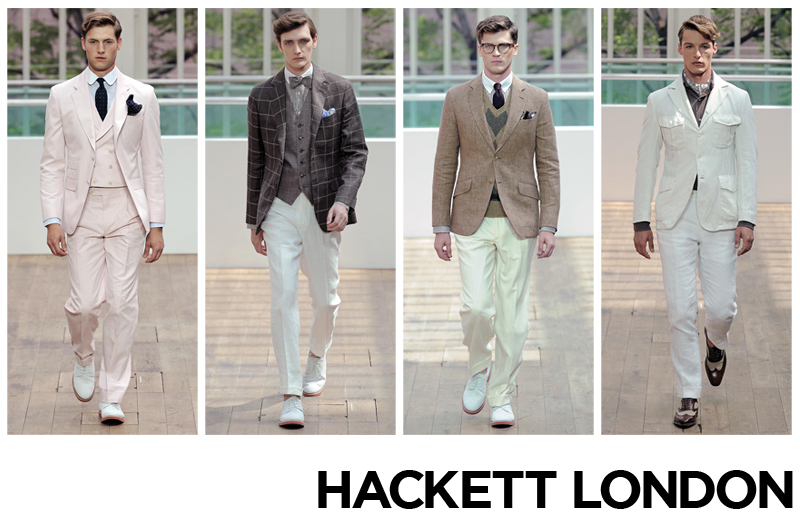 Hackett London’s Spring/Summer 2013 collection was truly a celebration of the English Gentleman. Against the backdrop of the Royal Opera House, the collection opened with three-piece suits in subtle pastel shades, inspired by the 1920s and The Great Gatsby. 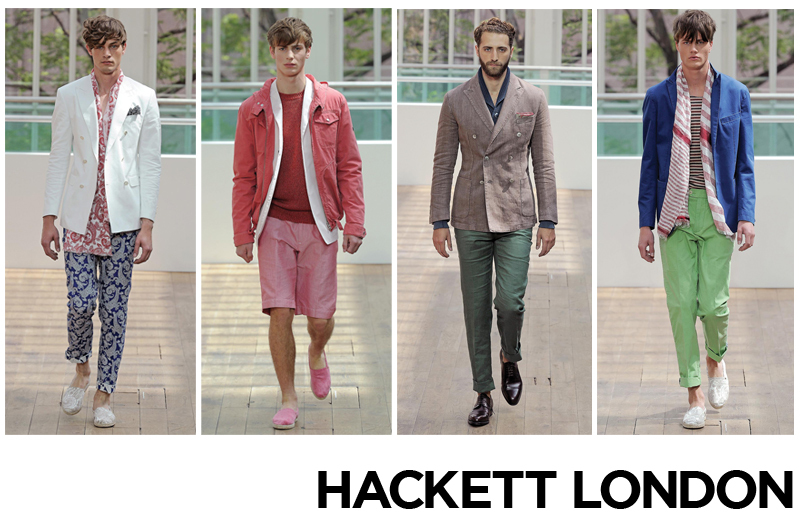 The collection progressed to more casual, resort-inspired looks in bright, vibrant hues. One of my favourite looks was the white double-breasted jacket layered over a paisley print scarf and trousers. Brightly coloured or patterned espadrilles were paired with the casual looks. 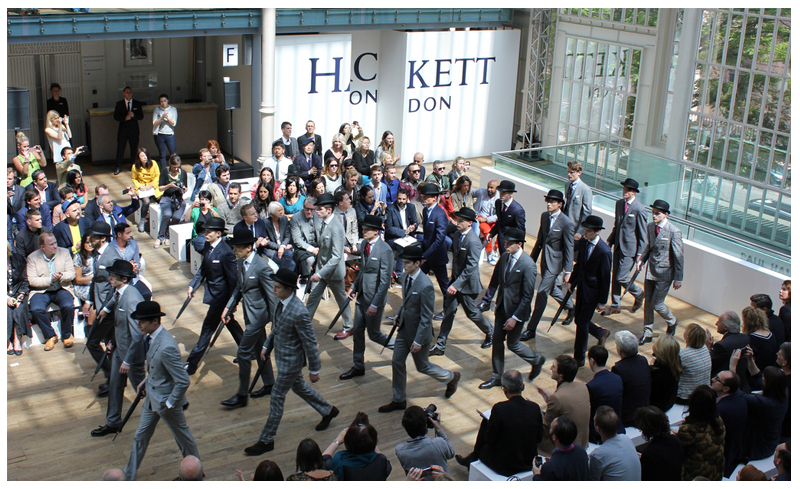 The show finale featured a troupe of twelve dashing models in impeccably tailored suits and bowler hats striding majestically along the catwalk. From pinstripes to tweeds and linens the collection boasted a rich variety of fabrics and cuts, once again proving that British luxury tailoring will always be a force to be reckoned with.